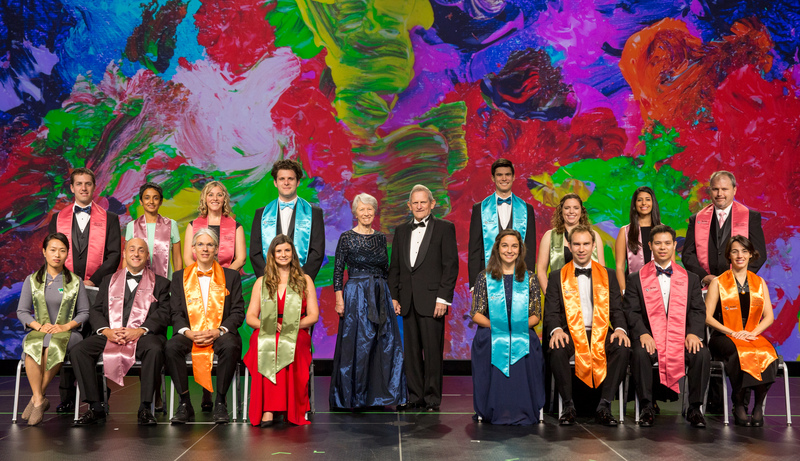 The Tech Awards is proud to present our 2015 laureates. A panel of distinguished judges chose two laureates in each of five categories whose technology is significantly improving the human condition. These laureates will each receive an unrestricted cash prize of $50,000 and be honored at The Tech Awards Gala in November. Intel Environment Award: DayOne Response, Inc. Problem: According to the American Red Cross, providing clean drinking water is the number one challenge in disaster zones. Each year more than 255 million people are affected by natural disasters, and without access to clean water they face potentially life-threatening waterborne illnesses. Solution: DayOne Response developed a lightweight, family-scale water treatment device with an all-in-one design for collection, transport, treatment and storage of local water to create safe drinking water. The Waterbag, designed for use with Procter & Gamble’s water purifier packets, is low-profile and has a wide opening for easy filling. The backpack straps reduce fatigue, and the clear Waterbag incorporates multi-treatment processes that meet with emergency drinking water guidelines of the World Health Organization and U.S. Environmental Protection Agency. Impact: Working with domestic and international partners, including CARE International, the U.S. Marine Corps, and WorldVision International among others, the Waterbag has been deployed to more than 20 countries, providing 7 million liters of clean water for disaster relief. Problem: Products from a wide range of threatened species are illegally smuggled into China, the largest single market for the illicit wildlife trade. Such trade undermines global biodiversity and disrupts ecosystem function as poachers remove critical species. Accurate identification of illegal wildlife products at ports and markets is a huge challenge for law enforcement. Solution: WCS China developed and released the first free smart-phone app specifically customized to support wildlife law enforcement officers, who can then effectively apply the law. The app provides a step-by-step approach to identify and determine the legal status of 500 commonly traded products and species. Impact: To date, the Guardian app has been used more than 11,000 times by 1,560 users. 65% of the frontline officers in China indicated that the app has been of direct value to their enforcement efforts. For example, one of WCS’s customs agency trainees was able to identify a piece of ivory that led to the discovery and seizure of more than four tons in May 2013. Problem: Students who do not achieve reading proficiency by the end of 3rd grade have a much greater risk (400%) of dropping out of high school than the general student population. This includes students who are afflicted with learning differences or impairments, and students who are successful readers but spend excessive time reading on-screen text inefficiently. Solution: BeeLine developed a method of displaying text that uses color gradients instead of plain black text. The algorithm arranges the gradients so that the text at the end of one line is the same color as the text at the beginning of the following line, resulting in the eyes automatically being drawn to the appropriate line because the color matches up. Impact: On a weekly basis, BeeLine tools are used to read millions of pages of text in more than 60 languages and 120 countries. BeeLine has 75,000 active monthly users and 10,000 active daily users. One study in San Bernardino City Unified School District shows an increase in reading fluency of 53% for young readers. BeeLine is in use on campuses worldwide. Problem: More than 1 billion people worldwide lack access to health services or trained health workers. Additionally, more than 6 million children under the age of five die each year as a result of preventable causes. The teaching hospital apprenticeship model is failing to keep pace with gains in medical knowledge and the interconnected global population. Solution: OPENPediatrics developed an online learning community providing free access to academically rigorous medical education content and social collaboration tools that allow for a global exchange of knowledge. Each piece of content undergoes a rigorous peer-review process, ensuring that the content is academically sound and based on best medical practices, allowing access to advanced training to everyone. Impact: Version 1 was launched in April 2014. During the first eight months, the community of users grew by over 200%. The platform now has more than 5,000 diverse users from more than 800 hospitals located in 124 countries. Problem: Slum fires are a frequent and devastating occurrence in urban informal settlements and slums around the world, causing thousands of deaths, hundreds of thousands of lives disrupted, and millions of dollars in economic losses each year. In South Africa alone, there were 70,000 shack fires from 2000 to 2010, resulting in some 240,000 people being displaced. Solution: Lumkani produces an inexpensive, networked fire detector that allows for warning alerts to be generated across multiple levels. Because urban-slum environments are innately smoky, the Lumkani detector is a rate-of-rise heat detector. The detector is networked using radio frequency technology. If the alarm has not been silenced after 20 seconds, the device will send out a signal via radio frequency, activating the second layer of warning within a 60-meter radius. It can also notify community leaders and fire departments, if they are available. Impact: Launched in late November 2014, Lumkani currently has more than 1,000 devices across five communities in South Africa. Problem: Clubfoot is a leading cause of disability worldwide, affecting one in every 750 children. 80% of the suffering children live in developing countries, where their families have little access to treatment. Solution: miraclefeet has developed a comfortable and affordable ($20) off-the-shelf brace, consisting of two shoes made of soft canvas that can be clipped on and off a flat plastic bar that is durable enough to sustain the weight of a child over the age of 5. Each pair of shoes costs $7 and each bar costs $13 to produce. There are seven sizes of shoes and three sizes of bars. Impact: Four thousand braces are now being piloted in partnering clinics worldwide. From July 2015 to June 2016, miraclefeet will test the braces in India, Ecuador and the Philippines by distributing braces to 50 children along with the current standard of treatment, the Steenbeek brace. Every three months, miraclefeet will measure the degree of correction of clubfoot for the two types of braces. Problem: The World Health Organization estimates that 153 million people worldwide live with visual impairment that could be corrected with simple eyeglasses. WHO also estimates that around 90% of this population lives in low-income countries where there is a shortage of ophthalmologists, relatively little knowledge about vision correction and/or a shortage of affordable corrective eyeglasses. Solution: OneDollarGlasses (ODG) has developed a simple manual machine and tools that allow local people to produce high-quality glasses using only $1 of raw materials. The product consists of an extremely lightweight, flexible and stable spring steel frame with prefabricated polycarbonate lenses. Opticians travel to villages with a box of lenses from -6 to +6 diopters and finished curved frames of different sizes. The visual acuity of the patient is determined by a simple eye chart. When the right lenses are found, they are clicked into the frame. Impact: Since April 2013, OneDollarGlasses has been successfully piloted in nine countries with production training courses. More than 8,000 people have bought eyeglasses to date, and more than 70 people are making a living from ODG businesses, either producing or selling glasses. Problem: Roughly 75% of the world’s population, living in more than 135 countries, suffers from having inconsistent, complicated or no geographic addressing system. This means that around 4 billion people are “invisible” in the sense that having no address makes it difficult or impossible to get deliveries or receive many forms of aid. They may be unable to make claims on land or report property crimes, and they may be unable to exercise many rights as citizens, simply because they have no way to document or communicate where they live. Solution: what3words has developed a global addressing system based on a grid of 57 trillion 3 meters x 3 meter squares. Each square has been allocated a unique, fixed three-word address. The algorithm turns complicated latitude and longitude coordinates into three simple words. The words are sorted by the algorithm to take into account word length, distinctiveness, frequency, and ease of spelling and pronunciation, and are generated in languages matched to the geographic region. Impact: what3words is early stage, but is currently working with public agencies, corporations, and NGOs to incorporate its system into various mapping-dependent processes. In Brazil, w3w has joined with Carteiro Amigo to allow residents of favelas to receive home deliveries from e-commerce. In Tanzania, it is involved in projects to map water access, and to allow small businesses to receive direct deliveries. Problem: 20% of children born each year in developing countries lack access to vaccines, and millions more may be receiving vaccine doses with reduced or no potency due to challenges in the supply-chain infrastructure that transports and stores medications. Solution: ColdTrace, developed by Nexleaf Analytics, is a low-cost remote temperature monitoring system that uses cell phones as the core hardware platform to continuously record the temperature inside of vaccine refrigerators, and sends customizable SMS alerts to personnel when the temperature moves outside acceptable limits, or when the power goes out. Impact: Currently there are 210 ColdTrace sensors monitoring more than 4 million vaccine doses in clinics worldwide, serving thousands of residents. Problem: Despite the World Health Organization and UNAIDS concluding that voluntary medical male circumcision (VMMC) can reduce the risk of HIV infection by approximately 60% in high-risk areas, many countries in sub-Saharan Africa lack the personnel and health care infrastructure to scale-up VMMC in their populations and thereby benefit from the HIV risk reduction. Solution: PrePex offers a safe and simple non-surgical solution that does not require a surgical setting for implementation. The PrePex device can be utilized by community clinics, and is worn by men seven days, after which the foreskin becomes necrotic and can be painlessly and bloodlessly removed, with minimal disruption to daily activities. Impact: To date, PrePex has been used for the scale-up of VMMC programs in twelve countries in sub-Saharan Africa. More than 80,000 procedures have been performed, and eleven local training centers are spread across eight countries.